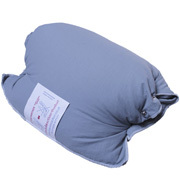 Sitting Partner is an effective relief for back pain, which avoids the pitfalls of most lumbar supports, making it more comfortable and more suitable for lengthy use. It can be a great part of a healthy “movement based” life style. Designed by a Norwegian Doctor to help his patients, Sitting Partner has become a world-wide success. It is frequently recommended as part of treatment. 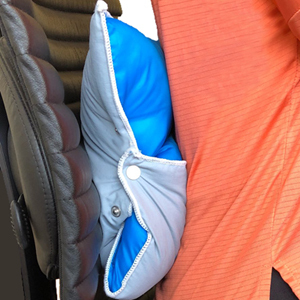 Its design-protected shape not only supports the spine, taking the strain off painful ligaments, muscles and discs, but it constantly moves, thus promoting better circulation and lymph drainage. The Sitting Partner can be set to four different positions, so will fit everyone. A special, inflatable air pocket allows increased support if your back is acute, or if you will be sitting still such as in a plane or car. Back pain can be caused by sitting in poor posture, which can be improved by pushing into the back at waist level. This creates a forward curve of the spine called 'Lumbar Curve'. 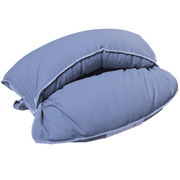 However ... most supports press too hard on the lumbar spine, causing new discomfort, and people often stop using them. 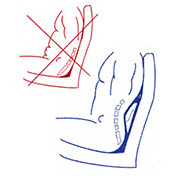 Sitting Partner is different: Its unique design spreads pressure to below your waist, giving good support to your Sacrum. Sitting Partner is effective and comfortable. Tuck the thin tail behind your Sacrum (upper bottom) with the thicker roll in the small of your back. The adjustment poppers let you choose the size of the tail and roll. 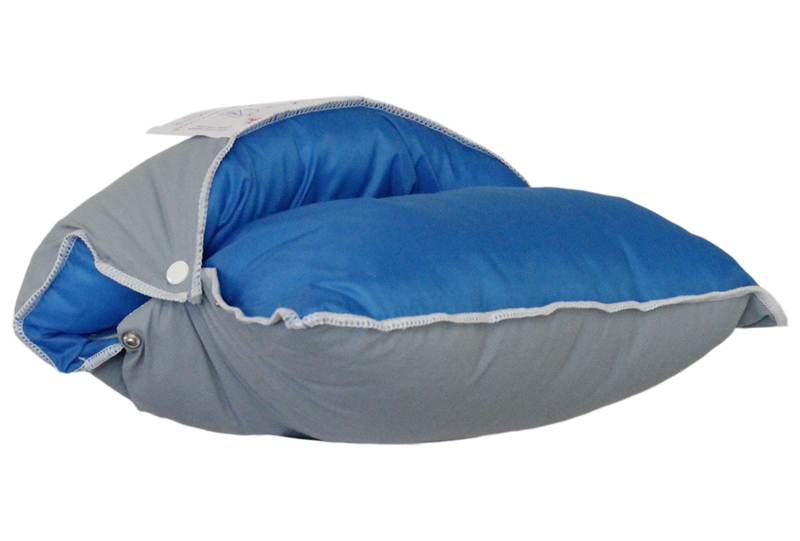 For extra support, or really soggy chairs, inflate the insert. 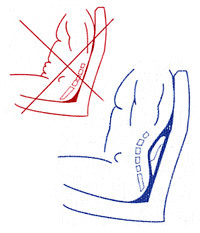 Tip: Elastic or cord passed through the fold keeps Sitting Partner in place when you get up. For some pains Sitting Partner can be used flat, with or without the inflatable insert. In very soft chairs try sitting on the tail and support your buttocks from below. Allow an adjustment period to your new shape and experiment with the adjustments. It will be worth taking time to find the best adjustments for you and your chair.